Financial institutions can no longer afford to take the “wait and see” approach when it comes to using blockchain technology to send money globally. Today, corporate and retail customers demand that the financial industry improve their ability to send cross-border payments instantly, reliably, and at a lower cost. 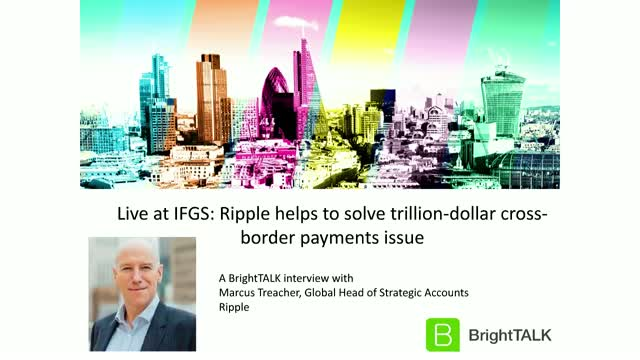 Watch the webinar to hear Marcus Treacher, Ripple’s global head of strategic accounts, discuss how blockchain and digital assets are transforming the finance industry’s ability to send global payments.